Who do you want to be on Christmas night? We bet your choice usually falls on Santa Claus! But if you are a girl you would definitely prefer a more fancy and elegant look of Miss Santa, right? You’d better dress up before sending your Christmas wishes online. The question is: who would you like to become? We suspect that for men it’s all more or less obvious: they usually prefer wearing Santa’s beard, hat and coat. And that’s something we have here. However girls are more complicated by nature (no offence meant, guys) and are definitely after fancier (and even sexier) look. We know it and here’s our girlish Christmas face in hole gift. This photo montage puts your face on Santa girl, wearing that familiar hat and dress of bright red color decorated with white fur. 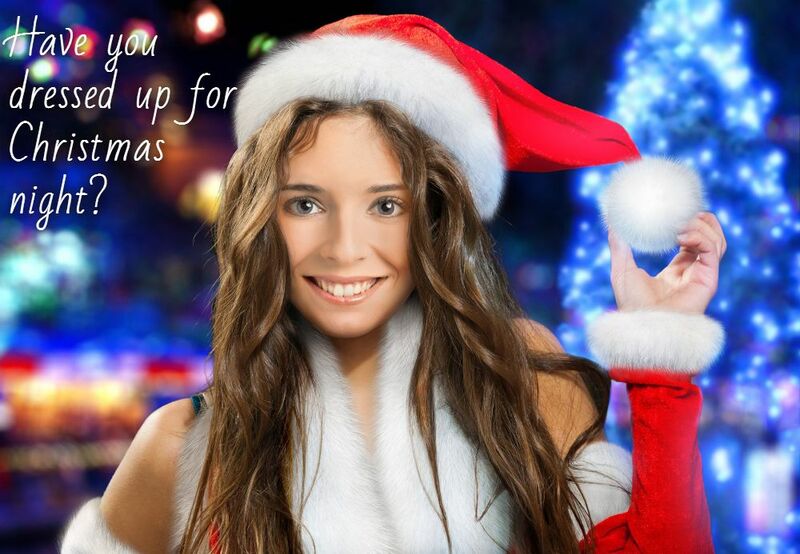 Just upload a portrait shot to santa yourself online and see how stunning you gonna look in this Xmas costume. Our set of costumes is not limited to two members of Santa family though. There are five more ways to dress up for holiday season using our hats and caps effects. It makes seven styles to choose from and change for Christmas before it arrives, so try not going too wild!